Dr. Bjorn Lomborg is president of the Copenhagen Consensus Center and visiting professor at Copenhagen Business School. The Copenhagen Consensus Center is a think-tank that researches the smartest ways to do good. For this work, Lomborg was named one of TIME magazine’s 100 most influential people in the world. His numerous books include "The Skeptical Environmentalist", "Cool It", "How to Spend $75 Billion to Make the World a Better Place", "The Nobel Laureates' Guide to the Smartest Targets for the World 2016-2030" and "Prioritizing Development: A Cost Benefit Analysis of the UN's SDGs". He is a visiting professor at Copenhagen Business School and regularly works with many of the world’s top economists, including 7 Nobel Laureates. His think tank, the Copenhagen Consensus Center, was ranked by the University of Pennsylvania as one of the world’s "Top 20 Advocacy Campaigns". Lomborg is a frequent commentator in print and broadcast media, for outlets including the New York Times, Wall Street Journal, The Guardian, CNN, FOX, and the BBC. His monthly column is published in 19 languages, in 30+ newspapers with more than 30 million readers globally. Lomborg is a frequent participant in public debates on policy issues. His analysis and commentaries have appeared regularly in such prestigious publications as the New York Times, Wall Street Journal, USA Today, The Economist, The Atlantic, Forbes Magazine, Globe & Mail, The Guardian, The Daily and Sunday Telegraph, The Times, The Australian, the Los Angeles Times, Boston Globe and Der Spiegel. Lomborg’s monthly column appears in around 40 papers in 19 languages, with more than 30 million readers. He is a television commentator on CNN, Fox, MSNBC and the BBC, among others, on shows such as “Newsnight”, “20/20”, “60 Minutes”, “The Late Show with David Letterman”, and “Larry King Live”. He was featured in the movie “Cool it”, by Sundance Award winning director Ondi Timoner. In 2011 and 2012, Lomborg was named Top 100 Global Thinker by Foreign Policy "for looking more right than ever on the politics of climate change". 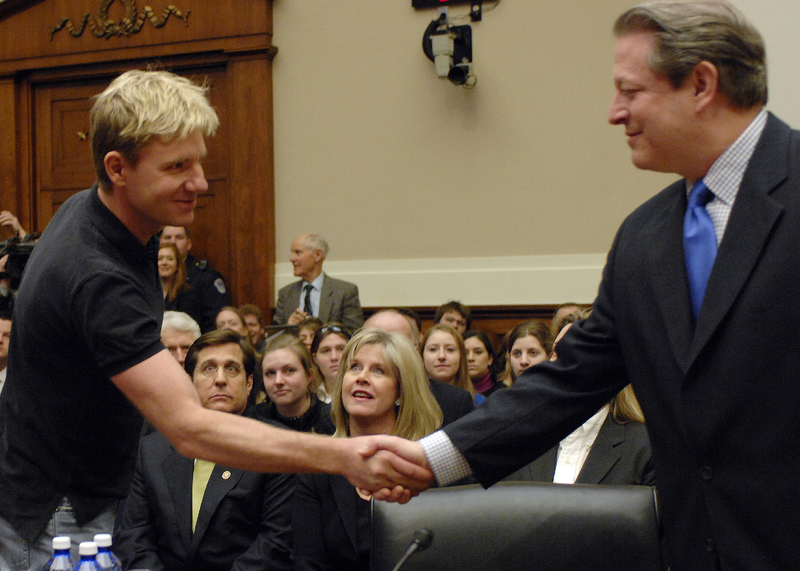 TIME Magazine ranked Lomborg among the world's 100 most influential people in 2004. In 2008 he was named "one of the 50 people who could save the planet" by the UK Guardian. In 2005 and 2008, Foreign Policy and Prospect Magazine called him "one of the top 100 public intellectuals", and in 2008 Esquire named him "one of the world's 75 most influential people of the 21st century." Bjorn Lomborg was born January 6, 1965. M.A. in political science, 1991. Ph.D. in political science at the Department of Political Science, University of Copenhagen. 1994. Assistant professor at the Department of Political Science, University of Aarhus, 1994-1996. Associate professor at the same place, 1997-2005. Director of Denmark's national Environmental Assessment Institute , February 2002-July 2004. Organizer of the Copenhagen Consensus prioritizing the best opportunities to the world's big challenges, 2004. Organizer of the Copenhagen Consensus prioritizing the best opportunities to the world's big challenges, 2008. Organizer of the Copenhagen Consensus prioritizing the best opportunities to the world's big challenges, 2012. Organizer of the Copenhagen Consensus prioritizing the best Sustainable Development Targets for the world, 2015. Simulation of strategies in collective action dilemmas; simulation of party behavior in proportional voting systems; use of surveys in public administration; use of statistics in the environmental arena.